As Russia braces itself for the introduction of a tough new anti-piracy law, the major labels have begun blitzing Russia's Facebook equivalent with copyright takedowns. The music of popular artists is currently being removed en masse by the huge social networking site causing outrage among its users who are now attempting to 'encrypt' their music uploads. While that's unlikely to stop deletions, the labels appear to be in the mood to exchange their stick for a carrot. 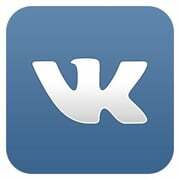 Russia’s main social networking site vKontakte is an absolutely massive operation. It is the second most visited site in Russia and the 19th most popular site on the planet. The site, which has around 40,000,000 users every day, is also a huge thorn in the side of the recording industry. VKontakte allows its users to upload music to their accounts for anyone to play and as a result the site has become one of the largest repositories of unlicensed music anywhere in the world. The site’s operators insist that the responsibility for uploading infringing music lies with its users but music industry groups like IFPI see that as shifting the blame. IFPI insist that something must be done to stop businesses being built on the back of unlicensed content. They may soon get their wish. As reported yesterday, Russian-hosted services – vKontakte included – will soon face a new legal environment due to a shifting of responsibility for illegal uploads. Following the approval of a new law in the State Duma on Friday, removing infringing content swiftly will soon be a priority matter if services don’t wish to find themselves blocked at the ISP level. Although it has yet to become law, interesting things started to happen at vKontakte just before the bill received its majority vote on Friday. Site users began to notice that searches for popular artists, which at one time were extremely easy to find, started to throw up notices that the content had been removed. The scale of the takedowns become apparent when searches for popular artists such as Rihanna, Adele, Beyonce, Amy Winehouse and Coldplay all began to draw blanks. The user backlash was swift and vocal, with some complaining that their entire collections had been deleted. “We always removed audio and video recordings when we were served the legitimate complaints from copyright holders, it’s just now such applications have increased,” vKontakte spokesman Georgy Lobushkin said in a statement. The problem stems from complaints sent by the major recording labels. 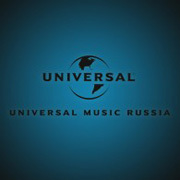 Universal Music told Russia’s Vedomosti that a letter had been sent to vKontakte via IFPI and the Goltsblat BLP lawfirm demanding the takedown of its content. While Sony and Warner have declined to comment, it seems almost certain that this is a coordinated action by the labels. “We’re not going to remove all the music at all, or just Russian or foreign music, or just rock or just pop music. We will remove the specific compositions of certain artists. Most of the audio will remain on the site,” said Lobushkin for vKontakte. In the meantime, however, users of vKontakte seem intent on preserving their collections by any means possible. There are reports in the Russian media that there are efforts underway to impose new naming conventions on files so that they won’t be marked for deletion by copyright holders. The group Coldplay, for example, are now known as “Cold Game”, Selena Gomez has been dubbed “Sweet Dwarf” and Maroon 5 are to be called “5 Dudes”. The effort seems unlikely to succeed, but there are signs that users may still get access to music via vKontakte if things move in the right direction. Unlike previous copyright holder actions against Grokster and more recently LimeWire, there doesn’t appear to be any desire to crush vKontakte with expensive lawsuits. In fact, all the signs suggest that the labels want to do business with the social networking giant. “We would like to see VKontakte agree with us about the legal ways of using music,” says Universal Music Russia CEO Dmitry Konnov. c There are 157 comments. Add yours?